This is a story of western blot, which might be holding the current record of re-use. While other papers are plagued by image duplications, this little western blot seems to have been used in a different context 12 times, in 10 papers, in 9 different journals. At least this is the current count. As the evidence suggests, the blot began its wandering adventures in 2006 and stood in for a different protein each time. It may have started as a western blot probed for glucose transporter GLUT4 or phosphotyrosine, but actually, it is now really hard to say what it may originally have been. The wandering western blot’s owners are the Brazilian physiologists Mario José Abdalla Saad and his colleagues José Barreto Campello Carvalheira, Cláudio T. De Souza and Lício Augusto Velloso. I received the information from this, well, duodecuplication, from a concerned source whose identity I was asked to keep confidential. Therefore, I have assembled a PowerPoint file on this wandering western blot, with the corresponding editorial replies (or the lack of them) attached as presentation notes. The file is publicly accessible here. Mario Saad is medicine professor at the Brazilian State University of Campinas in São Paolo (Universidade Estadual de Campinas, UNICAMP) and member of the Brazilian Academy of Sciences. He is also somewhat of a celebrity on RetractionWatch. So far Saad had to retract one paper for plagiarism, issued a 12-figure correction in PLOS One and unsuccessfully sued the American Diabetes Association (ADA), publisher of the journal Diabetes, protesting against their Expression of Concern on four of his papers there. None of these papers has been retracted yet, while the Expression of Concern is already one year old. The wandering western blot also made into one of these Diabetes papers. “I only can comment the manuscripts that I am the PI or the correspondent author. These manuscripts were investigated by an independent commission, with scientists outside our University, and we showed that most of these allegations were false. We showed all the original gels and proved that what they accuse of duplicated images are, in most of the cases similar images coming from different gels. In a previous manuscript that we identified the same image, an unintentional mistake, we wrote to the journal and asked for correction. We invite people to come to our lab to check the original images”. “Most detrimental, the ADA stated that it will not consider, for publication in any ADA journal any submissions authored by any of the faculty of the University until the issues described in the expression of concern have been appropriately reviewed and addressed by the University [UNICAMP,- LS]”. “The American Diabetes Association, the publisher of Diabetes, is aware of this issue, which is currently under review by the Association’s Panel of Ethical Scientific Programs (ESP). The ESP works on behalf of ADA journal editors to review potential instances of scientific or academic misconduct in manuscripts submitted to or published in ADA journals”. Saad was exonerated by the first UNICAMP investigation, which results ADA did not recognize and insisted on a second one. Its outcome or even existence is unsure. Nevertheless, it seems that the ban is now history. Good evidence for it is that Velloso was welcome to publish a paper in Diabetes in October 2015. “It appears that you are accusing the authors of this paper of academic misconduct. We take these accusations very seriously, but we cannot accept them anonymously. 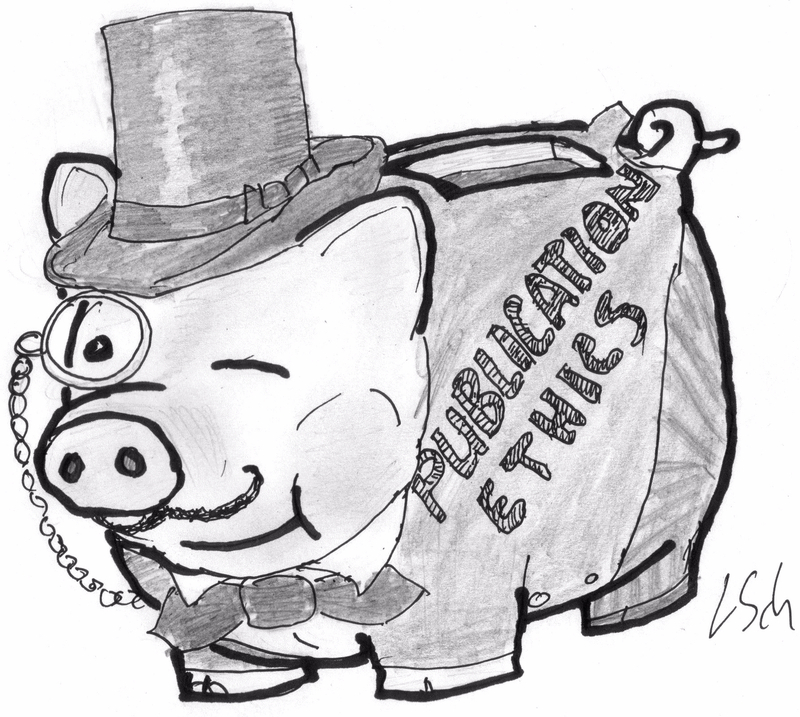 (Please see the journal’s policies on misconduct.) If you wish to remain anonymous, we encourage you to contact the authors’ institution(s) directly with your concerns. Otherwise, please submit a formal letter with the name and address of your institution (most letterheads will suffice), as well as a telephone number and an e-mail address from your institution where you may be reached. If you are not a researcher, professor, etc. affiliated with an institution, please submit a formal letter that includes your home address and telephone number”. Some publishers however, like PLOS One, Gastroenterology, The Physiological Society and Endocrine Society, were somewhat more convincing, by claiming that investigations are already initiated (or about to). With PLOS One and Gastroenterology, the wandering western blot seems to feature even twice inside the same paper, standing in for JAK2 and STAT3 as well as IKKβ and IRβ, respectively. Here again are the images, as well as the PPT file. I’m a bit confused. Though a couple of these look pretty identical the others really don’t look that similar (other than “there are bands there” kind of similarity). The first two examples (both from the journal Diabetes) are pretty clearly different blots- looking at the angles of the bands relative to each other makes that clear. It’s certainly possible that there might have been some image manipulation, but I don’t see a direct copying of a Western here. What’s the evidence that these are the same Western? Hi Jason, with the Diabetes example you mention: the blot is shifted by one band. Also other examples are shifted. Use the band with the tiny dot under it as alignment orientation and note that the bands match in their shapes then (I assume my original source who flagged this did the same). I also found that many of the comparisons made were inaccurate, or possibly even incorrect. Moreover, the red boxed bands, which are claimed to be identical, are not, something that Jason McDermott points out above. I think it is very important to have clearer evidence, including the tools that were used to derive this incredible conclusion (which, if false, could be a serious case of libel). How accurate and reliable is this “source”? I have downloaded the Power Point file. Please note, Dr. Schneider, if you decide to change any figures, then these must be newly represented. You cannot simply erase the above evidence and substitute files or images, because this is now a firm public accusation against Saad et al. As I say, in less than half of the cases, they could be similar bands, but even so, some are so blurred that I hesitate to use the terms “the same” or “identical”. Have bands, fly with me! “As a member of Gastroenterology’s graphics team, I’ve been reviewing the images from this article relating to the potential image duplication that you and several others have brought to our attention. At this point in time, our preliminary screening is complete (due to the complexity of the issue at hand, this took a significant amount of time). We’ve discussed the findings with the Editor-in-Chief, who shares your concerns. In accordance with our plagiarism and duplicate submission/publication and image manipulation policies, we are reaching out to the corresponding author of the Gastroenterology article currently and will update you again when we have a final decision”. Likely they have a mouse infestation in the building and the pest controller has not been effective. In these most difficult circumstances, a cat can work well. Sally Howells, managing editor at Journal of Physiology informed me now that “four Expressions of Concern have been issued. The University is investigating the case further”. “The authors and editors retract this publication following an investigation into concerns around the data presented in several figures that were brought to the editors’ attention. The text below has been agreed to by the editors, the first author (who was a PhD student at the time of publication), the corresponding author and most of the co-authors. All co-authors have been informed. Concerns were raised about Figures 1, 4, 5, 6, 7, 8 and 10, and Figure S6. The authors state that although the data described were correctly obtained with high reproducibility, they inadvertently used the wrong blots in several figures resulting in duplications. The blots in question are Beta-Actin for Figures 1J, 5E, 6F, 7F, 8L, 10I, and S6A and C; IRS-1 for Figure 4G and I; Akt for Figure 7G; pJNK for Figure 4C, 10E and F; and IR for Figure S6B. In Figure 6C (Akt) and 6D (pJNK) one extra band was inadvertently included because the authors used an extra sample from the WT control mouse. In Figure 8J (Beta-Actin) there is one band missing. For Figures 10B and S6A upper panel, the authors did not indicate that the lanes 2 and 3 were non-contiguous. It should be noted specifically that the co-authors from collaborating groups (AC, PV & NOSC) were not involved in the preparation of these figures. An institutional inquiry has been undertaken at the University of Campinas (UNICAMP) in São Paulo, Brazil and while the investigation acknowledged these errors, they did not find evidence of research misconduct. The authors maintain that the errors do not affect the interpretation of the results nor the conclusions of the study. However, the authors accept that the preparation of the figures fell below the standard of publication and therefore the authors and editors agree that the correct action is to retract the article. The authors apologize to the scientific community and will seek to publish a corrected manuscript version corroborating the findings of this work”. Here another reason for anonymous PPPR: editors are far from being objective many times…. Yes….actually editors get to the point of “designing” the manuscripts together with the authors much time before the publication…. Neither they respond to the IF problems in Costa-Silva et al, 2015 unfortunately…big disillusion…. After the Voinnet gel/band scandal, it seems that we also have a “wondering band/gel” problem in plant science. Here is the latest case (not as bad as Saad, but worrisome nonetheless). ISRN Agronomy, vol. 2013, Article ID 284830, 15 pages, 2013. So, why are western blots falsified so many times? It is an easy method of doing it ? Someone should issue a formal complaint to CNPq, Brazil’s National Council for Scientific and Technological Development because he is, in essence, hiding this fact from the Brazilian public. How many lab heads, professors have their sites update? Probably very few…. Apolo, CNPq states emphatically on its web-site, in Portuguese, that it expects its scientists to update their curriculae regularly. So, while your statement is true, it is an invalid argument for Saad, if he wishes to use this argument to evade showing his 6 retractions (and how many expressions of concern and errata?). By claiming that others’ profiles are outdated is what corrupts science. We should expect all scientists to have up-to-date and accurate CV and profiles. The truth is that many scientists don’t have updated CV and profiles. What do you think we can do in order to correct this? I suppose there is staff at their respective institutions responsible for these tasks. Searching briefly, we observe that all this “Professors” are still making research and educating in Brazilian Public schools. The most important ones in São Paulo State. If we compare just this State in Brazil, we have a higher incidence of retraction that Japan and foundations should be an example and stop to ignore the public money expend in “science between friends”, or “Fake science”. As in all Brazilian political environment, we also have a strong nepotism and corruption in public schools and foundations. However, they need to know that we are vigilant and will not admit bad research to be teach to our new generations.